So very often we think we understand what a particular disability means, or how it feels to walk in another's shoes. We make judgements on what constitutes a good quality of life and apportion pity where we deem it to be required, all too readily. The following quotes, compiled by Firefly, might just challenge the way you perceive disability and those who live with it. "Disability is not a brave struggle or 'courage in the face of adversity.' Disability is an art. It's an ingenious way to live." "Each handicap is like a hurdle in a steeplechase, and when you ride up to it, if you throw your heart over, the horse will go along, too." "Let's stop "tolerating" or "accepting" difference, as if we're so much better for not being different in the first place. Instead, let's celebrate difference, because in this world it takes a lot of guts to be different." "Society's accumulated myths and fears about disability and disease are as handicapping as are the physical limitations that flow from actual impairment." I'm not an advocate for disability issues. Human issues are what interest me. You can't possibly speak for a diverse group of people." "I haven't met anyone yet who isn't handicapped in some way. So what's the big deal? Don't hide your deformity. Wear it like a Purple Heart." "Try not to associate bodily defect with mental, my good friend, except for a solid reason"
"I am conscious of a soul-sense that lifts me above the narrow, cramping circumstances of my life. My physical limitations are forgotten- my world lies upward, the length and the breadth and the sweep of the heavens are mine!" "A troubled life beats having no life at all"
"When you focus on someone's disability you'll overlook their abilities, beauty and uniqueness. Once you learn to accept and love them for who they are, you subconsciously learn to love yourself unconditionally." "The world has a fast-growing problematic disability, which forges bonds in families, causes people to communicate in direct and clear ways, cuts down meaningless social interaction, pushes people to the limit with learning about themselves, whilst making them work together to make a better world. It's called Autism - and I can't see anything wrong with it, can you? Boy I'm glad I also have this disability!" "Chances are, disabled or not, you don't grow all of your food. Chances are, you didn't build the car, bike, wheelchair, subway, shoes, or bus that transports you. Chances are you didn't construct your home. Chances are you didn't sew your clothing (or make the fabric and thread used to sew it). The difference between the needs that many disabled people have and the needs of people who are not labelled as disabled is that non-disabled people have had their dependencies normalized." 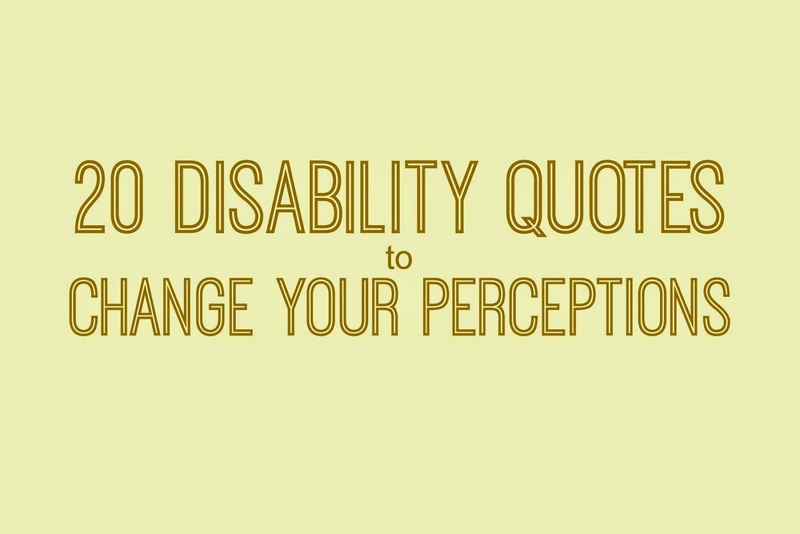 "When you have a disability, knowing that you are not defined by it is the sweetest feeling." If disabled people were truly heard, an explosion of knowledge of the human body and psyche would take place." 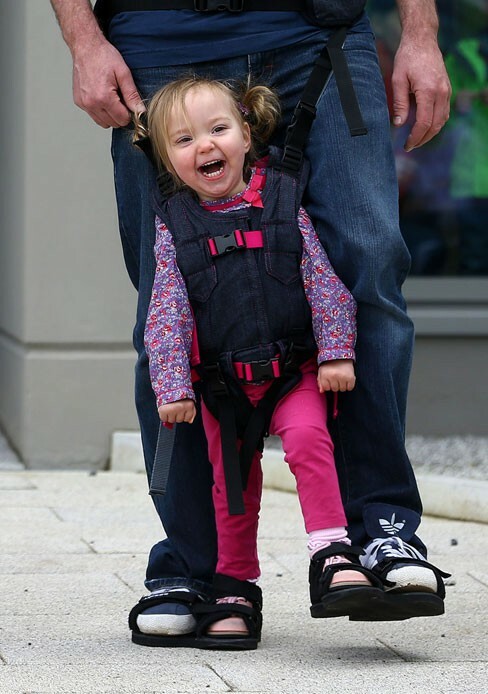 Many thanks to Firefly, globally recognised pioneers in the research, design and development of clinically focussed, posturally supportive products for children with disabilities, for compiling this list.